Charmaine Radonic recalls: Dont know if you remember my dad Kajko Radonic, he used to help look after the track, I remember all those years ago sitting with him in the water truck on race days. Above: Rudi Radonic and his two daughters up front in the Goldsworthy Mining Mack water truck while the local skid kids race there push bikes around the pole line of the race track. Photo: Ron Sutton. Rob Harrison and Ron Sutton recall: We used to have the kids race on their pushbikes while the track was being maintained, the prizes were cool drinks and lollies. Ron Sutton from Shay Gap in his formula 500 leads Darryl Chalkin from port Hedland in his Speedcar. Photo: Ron Sutton. Wayne Chrisp Ford powered sprintcar outside Jamie Scott at Shay Gap Speedway. Photo: FR Media. 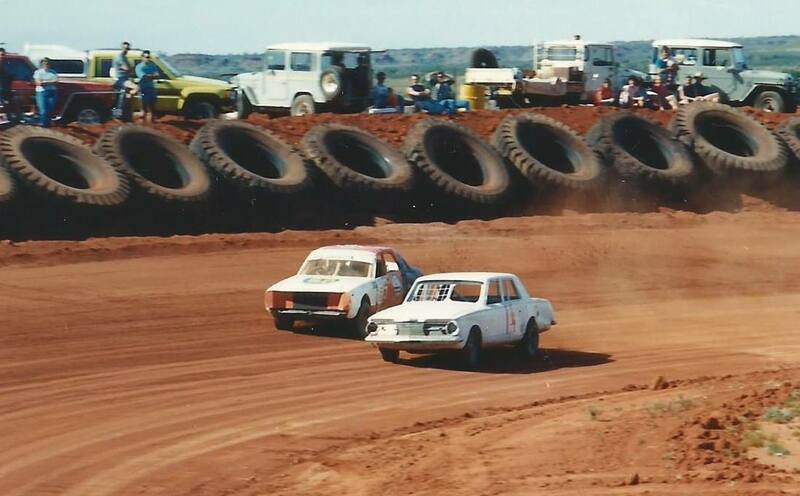 Lionel Curtin leads the field in the sprintcar event at the Shay Gap speedway track. Photo: FR Media. 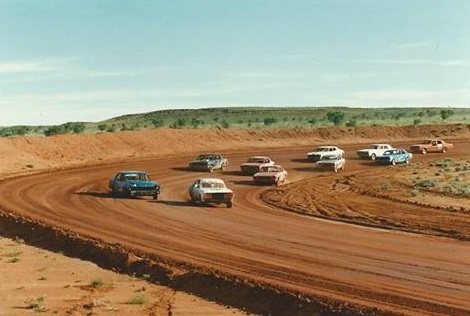 Bob Harrison recalls: I was a founder of the Shay Gap Speedway, after moving there from Port Hedland, Harry Jones was instrumental in providing the guidance to set up and get the constitution. Ron Sutton designed the track and facility, we had a great little club, and some fantastic times, I have a lot of great memories. 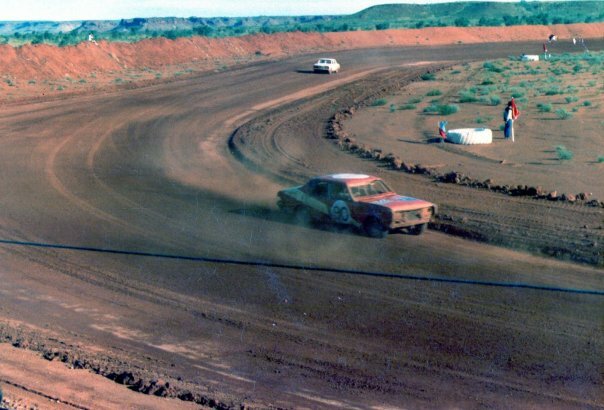 There were so many people who put a lot of hard work into setting up and maintaining Shay Gap Speedway, Ron Sutton in particular put many hours into the project, he worked tirelessly. Every driver and even some partners put a lot of effort into the hard yakka of running and maintaining the facility. Unfortunately I was transferred following some illness, the public liability became the killer. Dave Harbridge recalls: I worked at Shay Gap for about five years, they called me Bones, I helped build the Shay Gap Speedway. As a dozer operator I pushed up the banks for the track and the raised mounds for the raised spectator parking area around the track so you could drive your car up to watch the racing, as well as that I made the commentary box. 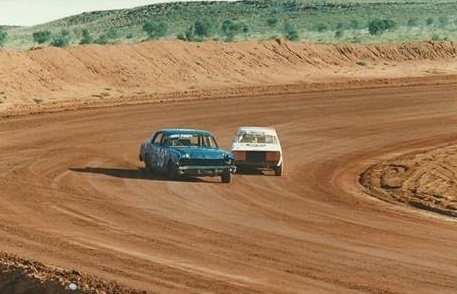 As a driver I won the 2nd place trophy in the 1987 Spinifex Dash.